After 10 months in development, DMK proudly presents version 6.0! 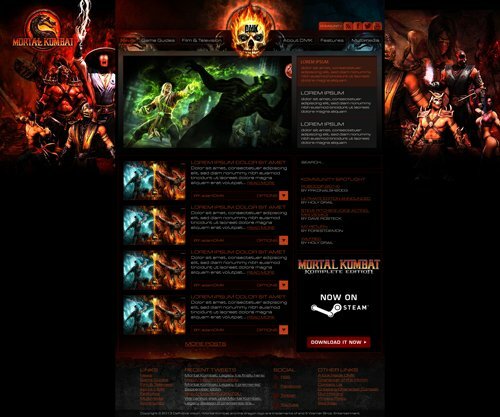 We’re very excited about this incarnation of DMK as we truly believe it to be the most interactive, comprehensive, and fluid Mortal Kombat fan site ever created. In addition to being built from the ground up with a fresh design and all new content, DMK version 6.0 was built to both function and look great – whatever the screen size. We realized many of our fans accessed DMK from their tablets and smartphones, so we figured there’s never been a better time to embrace responsive design. With version 6.0 we decided to put the focus on what DMK does best: Mortal Kombat. No gimmicks to draw hits… just a modern good-looking design that works on all platforms and devices, more Mortal Kombat content, more emphasis on interacting with our fans, and most importantly offering a Mortal Kombat experience that no other fan site offers. We’re currently in the process of overhauling our entire game guide section, so please bare with us as we get everything in order. If you notice any bugs or issues please let us know. Or just drop by the forums to say hi and tell us what you think about version 6. A huge thanks goes to Dave Rosteck, Holy Grail, and frkonalsh2003 for the countless hours spent on perfecting version 6.